Naomi Klein did not mince words. “Climate change is a crisis of narrative, a crisis of world view and a crisis of spirit,” the author and activist told the audience packed into Clark University’s Atwood Hall, and another watching via livestream in Jefferson 320. Klein delivered the Feb. 26 President’s Lecture, which kicked off the University’s second annual Climate Change Teach-In to be held March 23. 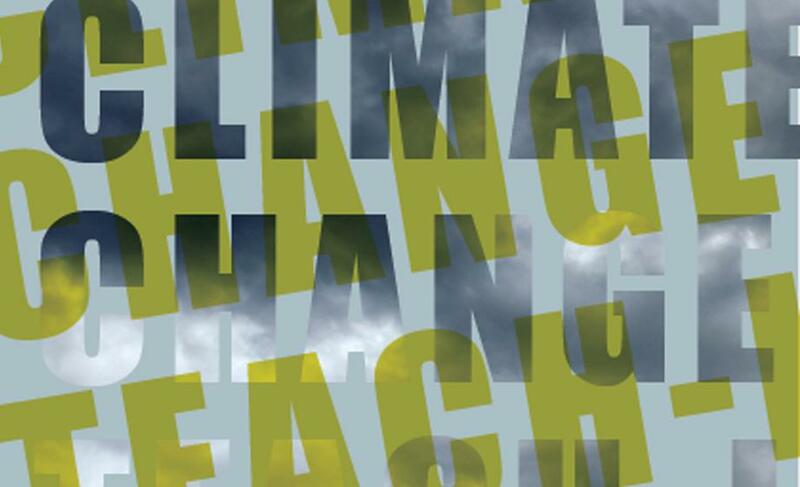 The Teach-In is a campus-wide event exploring the climate crisis and possible responses to it through a series of panels, presentations and dialogues. During her talk, Klein wove in the history of her own interest in climate change. She said she’d always ceded climate matters to “green” groups, focusing instead on matters of economic inequality, social justice and human rights. But Hurricane Katrina, which devastated the largely minority population of New Orleans, revealed to her how deeply all these issues are intertwined with climate change. The storm was a collision of bad weather and neglected physical and government infrastructures, which set into stark relief a system marked by “institutionalized racism,” she said, noting that African-American residents were first abandoned, then later harassed. “I’m scared not just about things getting hotter, but about things getting meaner,” Klein said. Klein described how crises are used by political and corporate elites to ram through policies that increase the divisions between the wealthy and poor. She cited California’s ongoing drought and wildfire challenges, which spurred the state to enlist thousands of convicts as front-line firefighters at a cost of $2 a day. When California was ordered to release thousands of inmates to ease prison overcrowding, the state objected, arguing that such a move would put the firefighting program at risk. The policies of neoliberalism — privatization, deregulation, trickle-down economics, cuts to public programs — “clash at every level” with what needs to be done to address the climate change crisis, Klein said. Instead, the hard and costly work of reimagining our energy grids and investing in public transit goes undone, and corporate interests influence policy at every level. Klein pointed out that President Obama’s rejection of the Keystone XL pipeline has resulted in a $15 billion lawsuit against the United States government by a company claiming lost profits. Klein concluded her lecture with a discussion of The Leap Manifesto, a Canada-based initiative she founded with a coalition of groups who urge a move toward a just and sustainable economic model, one based in care-giving rather than extraction. The coalition worked with a team of economists to recommend ways to make the transition affordable, including ending fossil fuel subsidies, instituting a progressive carbon tax and cutting military spending. Other countries are now writing their own version of the Manifesto, Klein said.